This page presents a compilation spine-related endoscopy books. In chronological order, from the newest to the oldest. Endoscopic Spinal Surgery provides a comprehensive, practical and timely review of the minimally invasive endoscopic surgical techniques used to treat conditions of the cervical, thoracic, and lumbar spine. Recent advances in technology, together with improved clinical outcomes, have established percutaneous endoscopic spinal procedures as alternatives to traditional open spinal surgery. This text describes the most effective endoscopic techniques currently available and discusses indications, surgical approaches, complications, and clinical outcomes. An authoritative, international team of contributors provides surgical insight and expert guidance. * Provides a definitive 'go to' reference for spinal surgeons, orthopaedic surgeons and neurosurgeons * Gives expert guidance on the full range of minimally invasive endoscopic techniques used in the management of spinal disorders, in chapters organized by spinal section * Includes general chapters on instrumentation, relevant neuroanatomy, and anesthetic considerations * Dedicates a chapter to classification and coding issues. 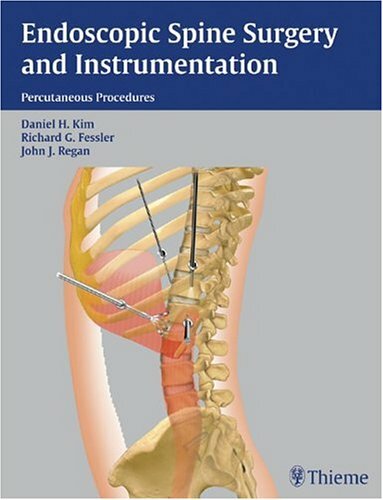 This book begins with an overview of the principles of percutaneous endoscopic spine surgery followed by a detailed discussion of applied anatomy, surgical approaches and techniques, and potential complications for the different spine regions. Each chapter contains concise, step-by-step descriptions of the procedures enhanced by clearly labeled illustrations. Minimally invasive spinal surgery has made tremendous strides in the past decade, with advances in instrumentation and techniques rapidly changing the scope of these procedures. Highlighted by nearly 650 high-quality images, this is the first text to comprehensively review the critical aspects and developments in the field. 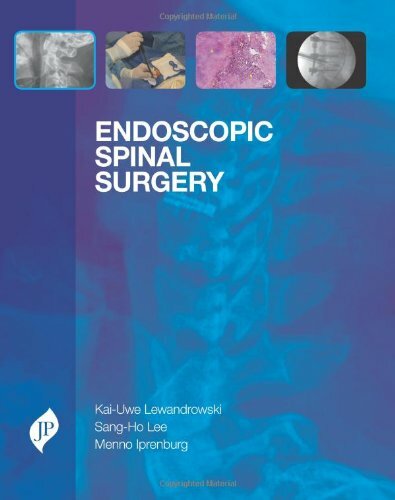 It features in-depth guidelines and approaches for performing cervical, thoracic, and lumbar spine surgery; percutaneous procedures; and image-guided and robotic surgery. You will also find key discussions of minimally invasive interbody fusion, thoracic discectomy, trauma stabilization, lumbar decompression, tumor resection, and more. With contributions from leading surgeons throughout the country, this text provides a solid foundation in minimally invasive spinal techniques. For all neurosurgeons, orthopedic surgeons, and spinal surgeons, it is both a useful tool and an educational resource for integrating these operative methods into practice.